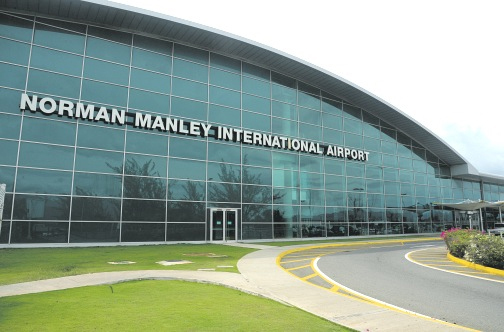 Make arrangements to land at the Norman Manley International Airport (NMIA) in the capital city of Kingston (unless you have been approved to join a class at another UCC location). Please remember. when making travel arrangements, you are advised to travel on a return ticket and NOT a one-way ticket. You will need to inform us of your exact flight details (flight number, arrival time, name of airline, departure city you will be departing from to Kingston) when you complete the Airport Pickup Form. This information is necessary at least 10 working days before your arrival, so that arrangements can be made for you to be picked up at the airport during normal working hours. Pick up times are between the hours of 8:30 a.m. and 4:30 p.m. local time. Should your flight arrive before or after these hours, special arrangements will have to be made beforehand for you to be picked up and taken to your apartment or host family. Students will be required to complete a “Customs Declaration Form” during flight to Jamaica. On arrival in Jamaica, your luggage is subject to search by customs officials. Must have the letter of acceptance from UCC on him/her. Must have the completed Customs Declaration Form. After clearing Immigration and Customs, proceed to the Exit where you will be met by a designated UCC official. It’s always advisable to decide by email the best way of identification to make it easier by both parties at the airport. We suggest you send us a picture or we exchange pictures which make it easier for identification; we will still use the regular method of writing your name on paper so you can quickly recognise your party. In the likely event that the designated official is not present, please contact the International Office at (876)665-4008. There is also a reliable taxi service at the airport – Jamaica Union of Travellers Association (JUTA) Tours – that can be hired to take you directly to your required destination.